Rio Olympics bronze medallist Sun Yanan of China steered last year's finalists Haryana Hammers to a comfortable 5-2 victory over Delhi Sultans. 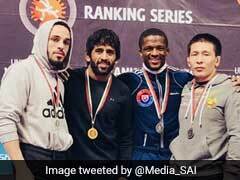 Rio Olympics bronze medallist Sun Yanan of China steered last year's finalists Haryana Hammers to a comfortable 5-2 victory over Delhi Sultans in the Pro Wrestling League 3 on Friday. Yanan, taking on Maroi Mezien of Tunisia, was at her dominating best as she sealed the contest 11-2 even before the last bout was fought. This is Haryana's second consective win of the season. Sumit picked a hard-fought 4-2 win in the last bout of the day over his compatriot Hitender to make it 5-2 in the favour of the Hammers. With the scores levelled 2-2, Khetik Tsavalov of Russia sent Haryana ahead by eking out a convincing 10-0 victory over young Indian wrestler Vinod Omprakash in the 74-kg competition. 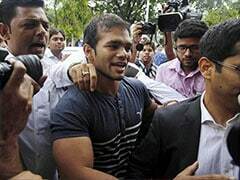 Vinod, who replaced an injured Sushil Kumar in the line-up, could not mount a serious challenge to his much fancied rival and went down meekly. Earlier in the day, Delhi blocked Rio Olympics gold medallist Vladimir Khinchegashvili after winning the toss; Haryana used their card to keep Egypt's Samar Amer Ibrahim. World champion Haji Aliev of Azerbaijan put Delhi on the front-foot straightaway, beating India's Harphool 11-4 in the 65-kg competition. Harphool got off a brilliant start, opening up a healthy 4-2 lead straight-away. But the Rio Olympics bronze winner Haji bounced back to finish the opening period 6-2. Haji maintained the momentum in the second period as well and scored five points to win the contest 11-4. 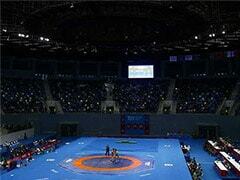 Haryana bounced back in the second encounter as Sarita beat Monia in the 62-kg competition. Delhi's icon player Alborov Aslan then played with elan to beat India's Deepak Punia 15-0 by technical superiority in the 92-kg event to help his team retain the lead. The World Championship bronze medalist came into the bout as a strong favourite and lived up to the mantle, dominating his opponent completely to clinch the contest. Helen Maroulis of USA made it 2-2 for the Hammers after she registered a 6-6 victory by pinfall against 2017 Commonwealth Wrestling Championship's silver medalist Sangeeta Phoghat. The World and Olympic champion Helen was trailing 2-6 at one stage but she overpowered her opponent, rolled her over twice and then pinned her to the mat to bring Haryana back into the seven-bout tie.